Ralph joined Compass after being a practicing attorney for over 35 years. Partnering with successful, seasoned real estate pro Bill Herbst, Ralph brings to the table a lawyer's skill in conflict resolution, negotiation, comfort with complex transactions and meticulous attention to detail. For Ralph, a career in real estate was long an eagerly anticipated end game: "I have always been obsessed with architecture and design. Attending open houses and critiquing apartments was an intramural sport for me. I can think of no better way of bringing together my professional skills and personal interests than as real estate agent. Whether as a buyer or seller, in choosing to work with Bill and me, you get a complete two-for-one package. We jointly participate in every aspect of the transaction." Ralph was born in Brooklyn and raised on Long Island. He attended Trinity College, New York University and Fordham University School of Law. 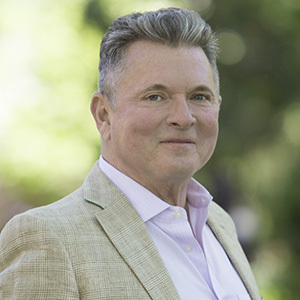 Since moving to the city full time in 1970, Ralph has lived on the Upper West Side, Chelsea and the Village with brief stints on the East Side and Murray Hill. In his spare time, Ralph is an adventuresome amateur chef and can be found, canvas totes in hand, wandering the Union Square Farmers' Market, Fairway and Chelsea Market in search of obscure ingredients for this week's "experiment.” In fair weather, the garden Ralph and Bill share at their Fire Island weekend home becomes his obsession. When the temperature turns cooler, his attention turns to Broadway - on, off and off-off - and to cabaret.